The Monsoon is retreating (having a hail storm outside as I type this) but we are moving into another season of festivities. 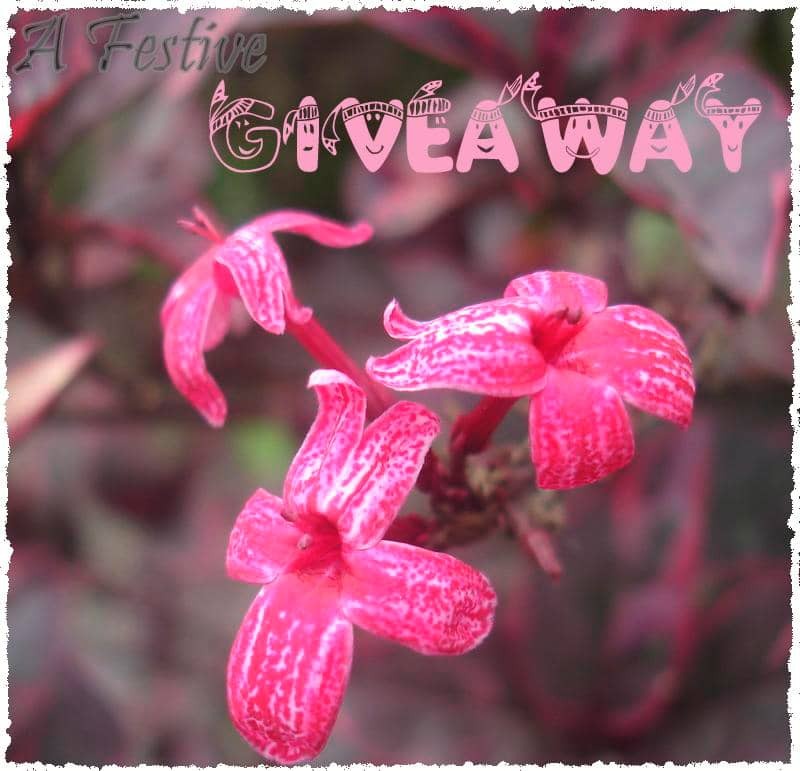 I am excited to host my first giveaway from CSN stores for the festive season. CSN stores carries everything fromDining tablesto cookware to shoes and bags .CSN stores has generously offered one lucky reader of My Foodcourt from USA and Canada a Gift certificate worth $60 to use on any of the CSN stores websites. I would like all my readers to please leave a comment below this post letting me know what you like about this blog and what would you like to see more often on My Foodcourt. Please leave one comment per person along with your E-mail address. All you silent readers, now’s your chance to share your thoughts with me.:). The Giveaway is restricted to USA and Canada readers and there may be international shipping charges in the case of Canadian addresses. One lucky winner will be chosen randomly and the winner will be announced on 17th October 2010. How to enter: Leave a comment with Email ID below this post letting me know what do you like about this blog and what would you like to see more often on My Foodcourt. Giveaway closes: 16th October 2010, winner will be chosen on 17th October 2010. 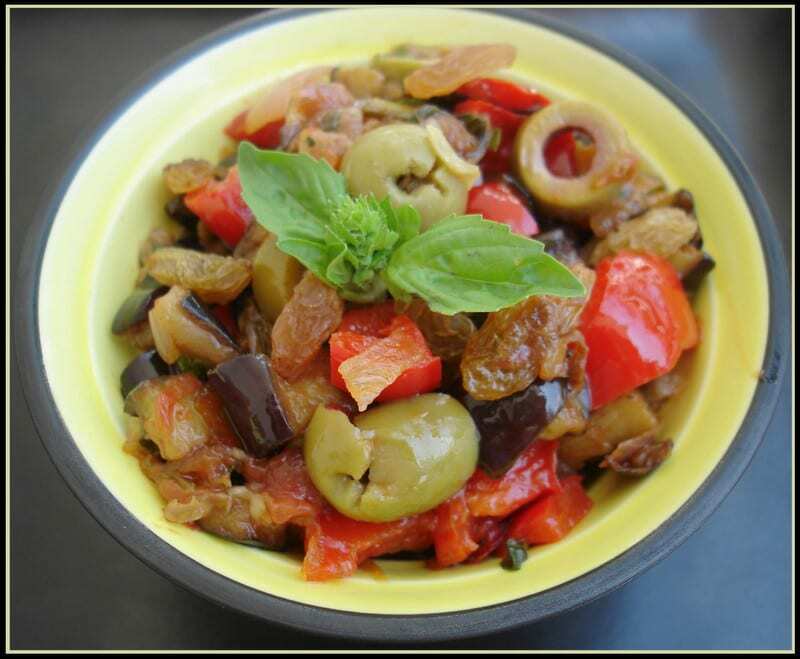 After the exciting Giveaway now for an exciting Caponata recipe…..
Over the past few years Food blogging has changed my perspective about different cuisines. Chinese is no longer restricted to Hakka noodles and Fried Rice; Mexican is no longer just Tacos and Salsa; Italian is not just pizza and pasta. Surfing the various blogs each day has made me explore many vegetarian recipes beyond these popular dishes of that particular region. 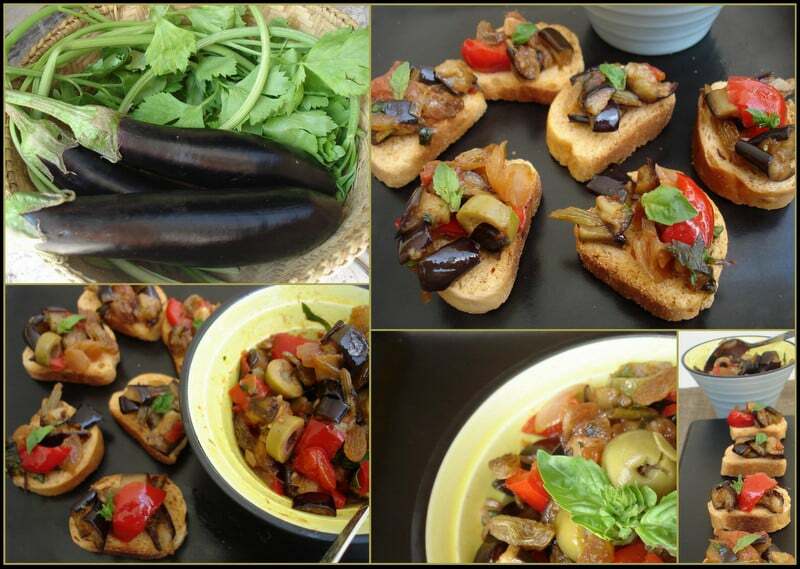 Alessio challenged us to make a Sicilian speciality-Caponata for this month’s Velveteer’s Challenge. 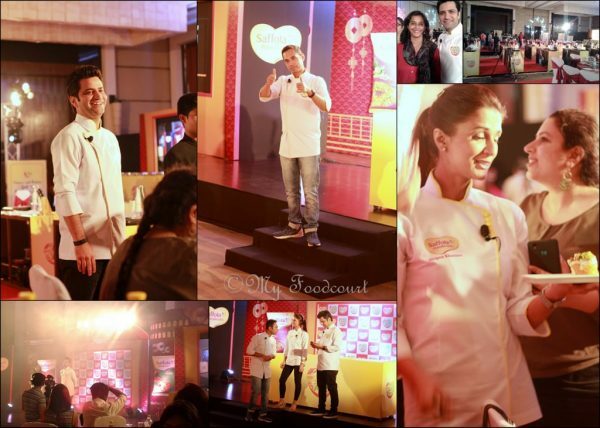 ‘The 4 Velveteers was started by Aparna, Asha, Alessio and Pam, who are passionate about different cuisines and food in general. Each month, we will attempt a new dish and share our experiences and the recipes we used. If you’re interested in joining the Velveteers, please feel free to drop by our Google group‘I have never made a Caponata before, so was quite intrigued by it.Wikipedia describes Caponata as a Sicilianaubergine dish, a cooked vegetable salad made from chopped fried eggplant and celery seasoned with sweetened vinegar, and capers in a sweet and sour sauce usually served as an Antipasto. In my quest for a simple Caponata recipe I came across this recipe by Yotam Ottolenghi. I loved the use of Harissa paste- the ‘Ottolenghi treatment’ as the recipe says- in the traditional Caponatarecipe. I had some Harissa seasoning which my brother had gifted me some time back. Also the addition of raisins was quite interesting. I did not have capers neither did I have red-wine vinegar. I skipped the capers and substituted the red-wine vinegar with white-wine vinegar. I also substituted the canned tomatoes with fresh blanched tomatoes. The loved the array of colors that the vegetables brought to the Caponata. I love eggplants in most of its form but here the humble eggplant/ aubergine was transformed into a flavorful salad with just a few ingredients. The fresh celery leant a refreshing flavor to the Caponata and the harissa added the much desired tang. 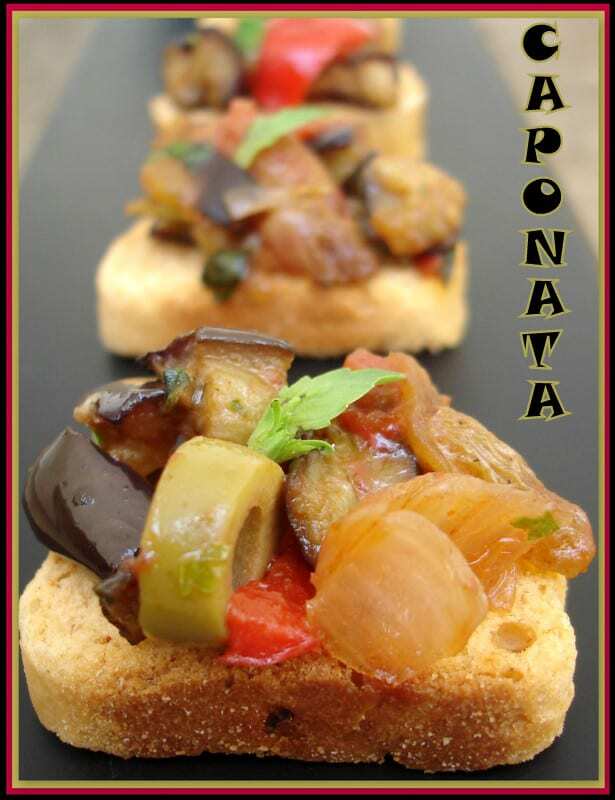 The raisins were a welcome ‘sweet’ addition to the already ‘tart-spicy’ caponata. I also added some fresh Basil leaves, which for a change are in abundance right now. I served this delicious Caponata on Bite sized- Chilly rusks. As recommended in the original recipe, it also makes a great sauce for pasta or couscous. It’s also delicious with cheese: try spreading it over rustic bread and topping with mature vegetarian pecorino, much like the English cheese and pickle sandwich. I could not save the Caponata to be savored the next day but you might want to make an extra batch since it tastes better the next day! Heat both oils in a heavy-bottom pan or a non stick pan. Add the diced aubergines and fry for 5-6 minutes till golden brown, stirring occasionally. Use a slotted spoon to transfer the aubergine to a colander and sprinkle with a bit of salt. After a few minutes, transfer to soak on a paper towel. Sautxe9 the onion and harissa seasoning in the oil (add a little more to the pan, if needed) for seven minutes, until soft and golden. Drain off any excess oil from the pan, add the tomatoes and vinegar, stir and bring to a simmer. Add the fried vegetables, olives and sugar, and season. If the mix is too dry, add a few tablespoons of water. Bring to a boil, cover and simmer for 10 minutes. Remove the pan from the heat taste and adjust the seasoning. Serve with sliced baguettesor garlic bread or some spicy rusks as I did. Thanks Alessio for introducing me to the delicious Sicilian favorite, I am going to try several other versions in several different ways from now on. I love seeing all of the new recipes that I never even knew about. I would love to see some budget friendly recipes with maybe a shopping list. Hi how are you. 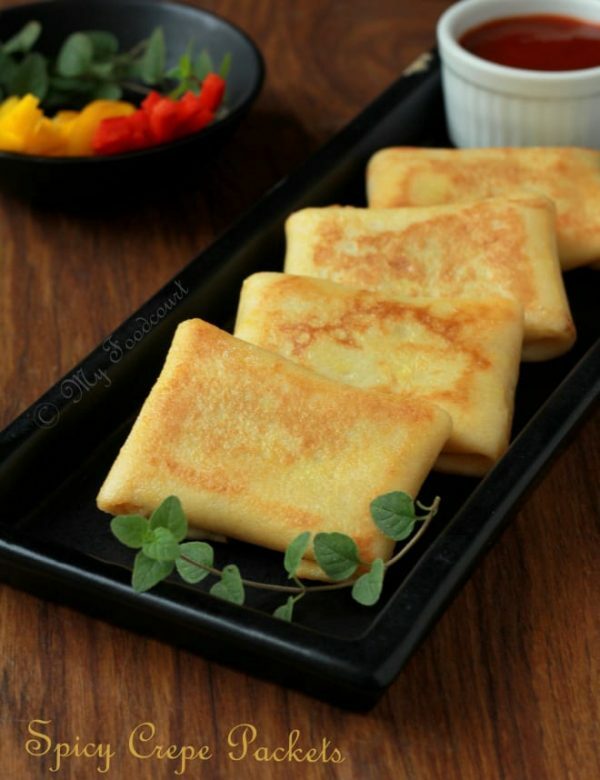 I visit your blog simply to read your stories about the new dishes i never dreamt of hearing. I love all your bakes. Ilike to see more baking posts on your blog. i made your apricot and prune cake till today i made it nearly 10 times sticking to your recipe but adding little changes like adding orange, pinepapple etc. Its always loved by family and friends. keep up the good work and thanks for the giveaway. I like your photographs! I’d like to continue seeing lots more recipes! I love your recipes. Keep doing what you’re doing! I like seeing how you present food. You make everything look lovely. It inspires my own plating. I like the ethnic recipes, many of which I’d like to try. The index is very handy. More recipes is all I can think of that I would like to see more of. Love your blog, wonderful recipes I wouldn’t change a thing. Loving that you are exploring so many exciting new possibilities. 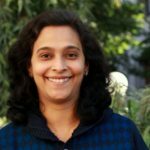 I think your blog is a great source of inspiration and a wonderful resource for many home cooks in India keen to try novel flavors from foreign lands. Love the easy writing and simple instructions. Perhaps including sources where you can obtain hard to find ingredients would be useful? At the same time, don’t give up on posting those typically traditional Indian recipes too. Sitting on foreign shores I find your blog a perfect go to source for seeking those familiar flavors from home. Keep writing and all the very best to you in your blogging adventures. The Index is really handy! Could it be grouped by type of recipe? I love curry recipes, and the more of them you post, the better! Also, more dessert recipes! I love the Oats Roundup section. I love collecting Breakfast recipes, so I’ll say I’d like to see more of them. I intend to try the Oat Pancakes and waffles very soon!